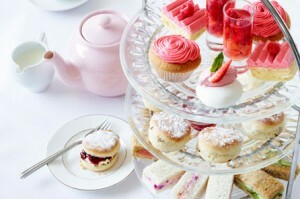 Afternoon Tea is a traditional custom in Scotland, and throughout the United Kingdom. The afternoon ritual became popular in the UK at the end of the 17th century. In 1840 afternoon tea was first introduced by Anna, the seventh Duchess of Bedford. The Duchess found that she was hungry around four o’clock in the afternoon, but dinner was served late, at eight o’clock, which was the fashion at the time. So the Duchess asked that a tea, bread, butter and cake be served to her every day in the late afternoon. She eventually invited friends to join her for this ritual, and afternoon tea breaks suddenly became fashionable social events. The tradition of enjoying an afternoon cuppa with sandwiches, breads, and cakes is still strong in Scotland today. In the city of Edinburgh there are many teahouses, cafes, and hotels where you can spend your afternoon sipping tea and sampling sweets. 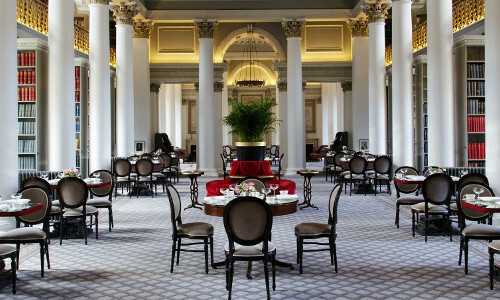 The American-Scottish Society has picked three top spots for Afternoon Tea in Edinburgh: a palace, a library, and a hotel. If you are craving a spot of tea, why not head to a palace and enjoy Afternoon Tea fit for a queen? 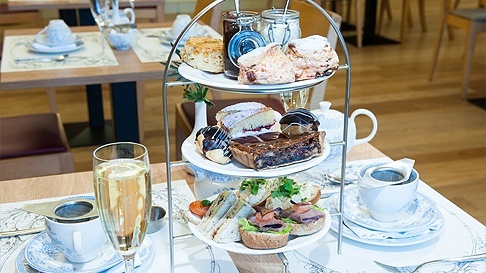 Try Afternoon Tea at The Cafe at the Palace of Holyroodhouse, the 16th-century palace of the Stuarts, located at the bottom of the Royal Mile. You can attend a tour of the royal reception rooms, antiques, and relics before heading to the elegant cafe. You can attend a tour of the royal reception rooms, antiques, and relics, or just go straight to the Courtyard Cafe. The former stable block has been converted into the cafe and the outdoor cafe is a tranquil surprise with shady trees. Enjoy your tea over the beautiful views from Arthur’s Seat. Afternoon Tea is served every day, between 12.00 and 3.00pm. Choose from a delectable selection of of freshly baked cakes, pastries and sandwiches, served with steaming cups of loose-leaf tea. If the magnificent surroundings have you feeling extra luxurious, champagne is on offer to sip with your Victoria Sponge Cake. If you attend Afternoon Tea at the Palace of Holyroodhouse, you can expect to have the royal treatment. If you are exploring Edinburgh’s Old Town, head to Colonnades at the Signet Library. The grand old Library is an exquisite and interesting venue for an elegant Tea Salon. Traditional Afternoon Tea is served Afternoon Tea is served Monday- Friday from 1pm to 7pm and 11am to 7pm on Sundays. The building is filled with history. Corinthian columns line the salon, which is surrounded by ornate balustrades. Even some of the fine silverware is original to the Georgian building. While you take in the grand setting, treat yourself to one of the decadent cakes created by the resident pastry chef. Fresh sandwiches, a selection of teas and cocktails, and many other goodies are on offer to enjoy. You’ll never visit another library quite like this. No. 11 is a sleek and modern hotel set within a charming Georgian townhouse. 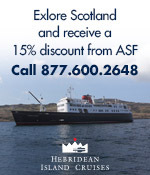 The hotel is just a short walk from the Playhouse Theatre Edinburgh and Edinburgh Waverley Station. Even if you are not enjoying a stay at No. 11, the Brasserie is open to the public. The dining area is lush, furnished with velvet and elegant artwork, serving as a perfect setting for a Traditional Afternoon Tea. The luxurious Afternoon Tea at No. 11 offers a menu of sweet and savory treats, including fresh finger sandwiches, hand made fruit scones, and a selection of pastries including decadent chocolate eclairs and mini cupcakes. Help yourself to wine or coffee, or even a bottle of sparkling wine. You can book a table from 12:30 – 5:00, from Wednesday to Sunday, each week. Enjoy the elegance of modernity, fused with the traditional charm of a quintessential Afternoon Tea. 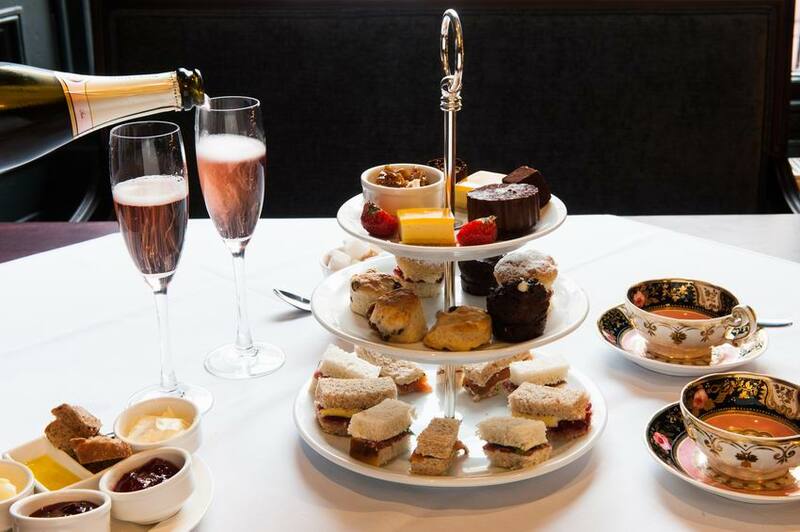 This entry was posted in ASF Events, Business, Travel in Scotland, Uncategorized and tagged Afternoon Tea, Colonnades, Duchess of Bedford, Edinburgh, Edinburgh Waverly Station, No. 11 Brasserie, No. 11 Hotel, Palace of Holyroodhouse, Playhouse Theatre Edinburgh, Royal Mile, Signet Library, Tea on February 27, 2016 by Theresa Schilling.